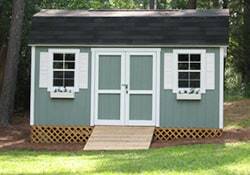 Each of our shed styles are completely stick built with quality materials, not from a prefabricated kit, so you know your Carolina Yard Barns shed will last for years to come. 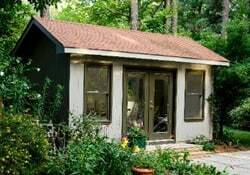 Carolina Yard Barns is a locally owned and operated company providing quality storage building solutions to Raleigh, NC and the Greater Triangle area at affordable prices. 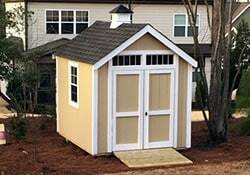 Once you select your shed, one of our highly trained, licensed and insured employees will come to your site to build your premium wood shed. 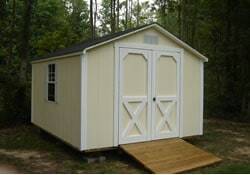 Choose from a variety of styles, sizes and add-ons based on your needs and budget. 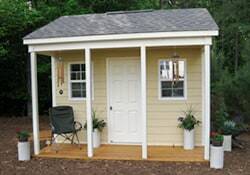 Visit our display lot in Raleigh and see for yourself why our sheds are the best in the area! 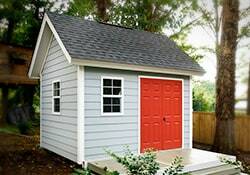 Never buy a shed without seeing an example of a companies work. 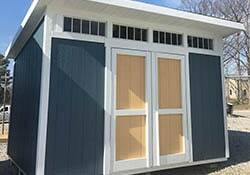 10% OFF Statesman, Deluxe Estate, Premium Statesman and Tackroom models available on sizes 8 x 8 up to 12 x 16 models only when ordered by April 30th Smart Panel sheds only. 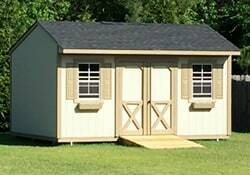 Order by April 30th and receive 5% OFF and a FREE workbench PLUS 12 month no interest financing available with approved credit (up to 12 x 16) Heritage line, Studio and Cabin models only.